If a break-up is in your future, take a crash course in Divorce 101 first. Learning about the divorce process sets the stage for a smoother transition and prepares you and your spouse for the road ahead. According to divorcerate.org's latest projections approximately 50 percent of all U.S. marriages will end in divorce. Despite such a high rate, most people are blindsided when they realize their marriages are ending even when they already felt major issues spinning out of control. The overwhelming emotions that go hand in hand with divorce can bring many people to a virtual standstill, but it's crucial to get the process underway to promote healing for everyone in the family. While it's impossible to predict the exact moment divorce becomes a viable reality, using a Divorce 101 early plan holds many of the benefits listed below. Every state in America has its own legal procedures for terminating a marriage, but there are some aspects in use nationwide. Implementing a Divorce 101 approach that educates both spouses about the elements that may pertain to their situation can effectively get the ball rolling toward a successful resolution for all. The following steps will help you get a head start on your divorce proceedings. As soon as one or both parties decide that divorce is absolutely the only answer, the first step is filing the paperwork with your local court clerk. This document may go by several names, depending upon your location, including original petition for divorce, letter of complaint or petition for dissolution. The complaint or petition outlines the actual divorce request as well as any relief or monies the person filing for divorce (petitioner) feels he is due. Once the court processes this document, the other party (respondent or defendant) will receive official notice and a copy of the complaint from an authority figure such as a member of the Sheriff's Department. Most of the time, both parties are already aware of the impending divorce. Divorce Orders: Often, a divorce court will issue temporary orders with which one or both parties must comply for the entire duration of the divorce. Most of the time, these orders relate to matters of child support, child custody and spousal support. It's important to understand that the orders are legally binding and carry a stiff penalty for non-compliance. Entering into a spirit of cooperation with your spouse decreases the need for temporary orders. Discovery: The court must rely on facts about your marriage, your finances and other areas to award a fair final decree. These facts come to the court's attention through a process called discovery in which both parties provide documentation about the issues in question. In most states discovery is a five-step process that includes disclosure, interrogation, admission of facts, requests for production and depositions. Having a basic Divorce 101 education comes in particularly handy during the discovery process. If the breakup is somewhat peaceful with both parties willing to cooperate, divorce mediation may end the process agreeably. During mediation, both spouses (with or without their lawyers) meet with an impartial mediator to negotiate conflicts and reach a settlement that satisfies everyone. When mediation is successful, it negates the need for an actual courtroom procedure. Unfortunately, mediation doesn't work every time and the divorcing parties may find themselves inside a courtroom arguing their case before the judge. After court adjourns, the judge will carefully study the evidence and make a final decision about settlement, custody and spousal support. 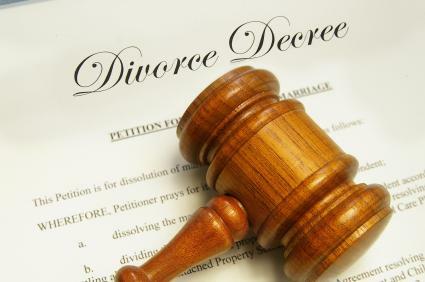 After the judge makes a final decision, both parties must sign the divorce decree. This document clearly states the marriage is over and includes legal orders relating to child custody, support, property divisions, visitation guidelines and any other issues pertinent to the divorce. Terminating a marital relationship is never easy but a review of Divorce 101 can help both parties with expectations and legal procedures. The sooner the divorce is final, the sooner each party can get back to the business of living their lives.